The St. Johns River Lighthouse is located east of Jacksonville, Florida on the southern bank of the mouth to the St. Johns River. Constructed in 1858 with a height of 80 feet it has been inactive since 1929. 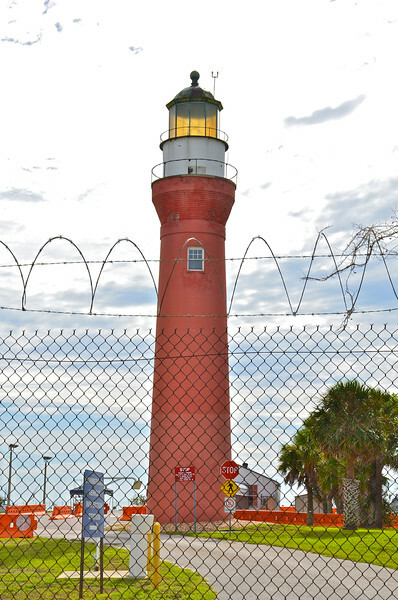 With the construction of the Mayport Naval Station in 1941 the lighthouse became located within the base property and the only way to photograph the tower is over the chain link fence ☺.